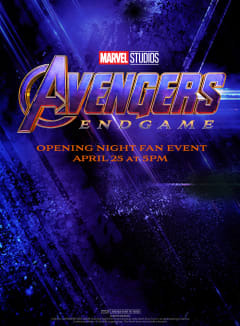 See Marvel Studios’ AVENGERS: ENDGAME early, get giveaways and more. Your fate is in your hands! 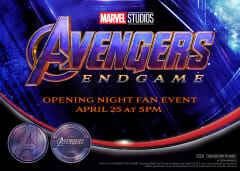 *Valid for AVENGERS END GAME Opening Night Fan Event showing only (April 25 at 5 p.m.) at participating locations. Limited quantities. Only while supplies last. The event does not include a lanyard.